Natterjack Toads are a rare species that live in meadows with a light, sandy soil, where they can dig in the ground. 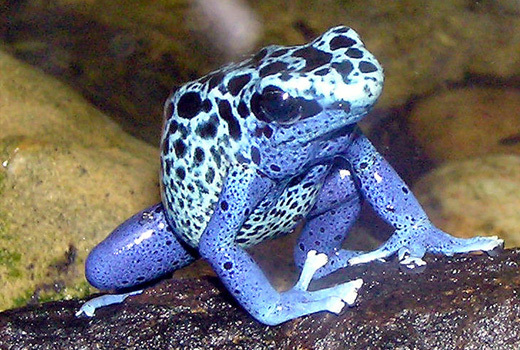 These amphibians inhabit parts of Europe, from Spain to South England and East to as far as the Baltic states. Unfortunately, the increasing urbanization and destruction of their natural habitat has made these animals very rare. 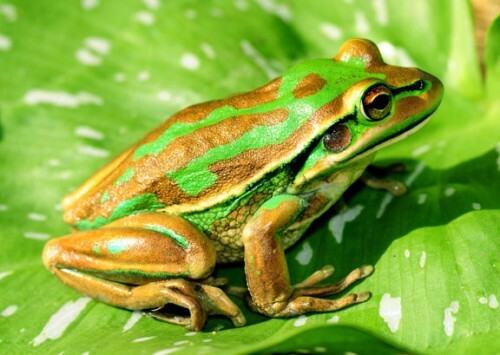 They are about 65-80 mm long, females are usually larger than the males. The toad’s skin is dry and covered in warts, with plenty of glands that excrete a poisonous substance with a very unpleasant scent. The colouration is usually white to sandy, with lots of dark green spots and a yellow stripe stretching from the head to the legs. The toad’s eyes are large and the pupils are narrow, which allows the animal to see better at night. The Natterjack Toad spends winter deep in a cave, covering from the cold. When the air temperature reaches about 12 degrees Celsius, the toad comes back on the land. 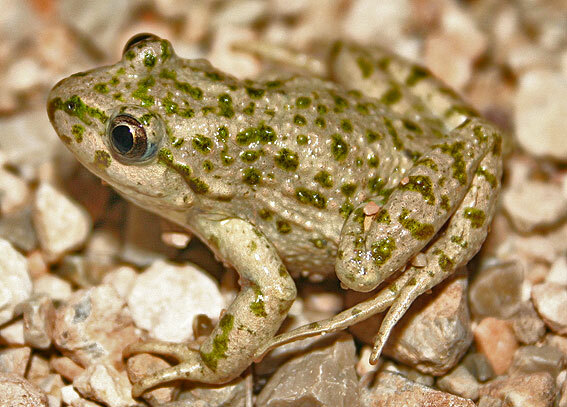 These amphibians are nocturnal, although in dry areas they can leave their cover during the day, too. As the toad has shorter hind legs than his relatives, running is preferred over jumping. The Natterjack Toad is also not a very good swimmer and only go in the water during the mating period. Natterjack Toads feed on bugs, spiders and snails. At night the toad patrols territories, jumping on anything that can be eaten. They are only interested in things that move – if the prey stops for a while, the toad loses interest, but if the food object moves again, the toad immediately fires the long, sticky tongue. Surprisingly, these toads are extremely good runners, so they can often catch the prey, instead of shooting the tongue after it like most toads do. Although Natterjack Toads live on the ground, they still copulate in the water. In early spring, the males find a shallow, warm pond or some other water basin, suited for spawning. The rut begins by the male’s song, that can lure the mother from a distance of one kilometer. The eggs are fertilized externally – the male fertilizes at the same time as the female lays them. Up to four thousand eggs can be laid at a time, which are wreathed in chains around water plants. 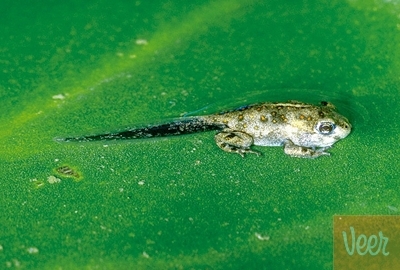 After about eight days, tadpoles hatch. They are small and round, with elongated tails. 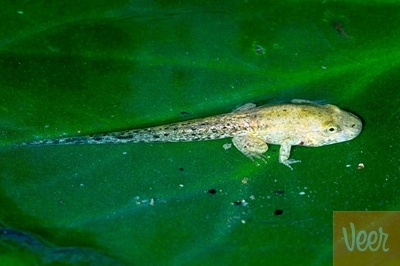 Eating plenty of weeds, algae and other vegetation, the tadpoles develop fairly quickly, growing the front pair of legs in already a few weeks and completing the metamorphosis and turning into a mature individual in 5-16 weeks from hatching, depending on the environmental temperature. Although smaller than all their European relatives, Natterjack Toads have an extremely long life expectancy, reaching 15-16 years.